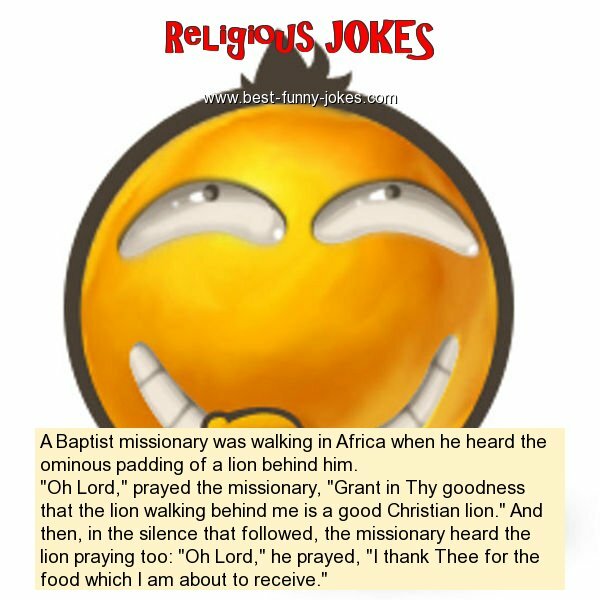 A Baptist missionary was walking in Africa when he heard the ominous padding of a lion behind him. "Oh Lord," prayed the missionary, "Grant in Thy goodness that the lion walking behind me is a good Christian lion." And then, in the silence that followed, the missionary heard the lion praying too: "Oh Lord," he prayed, "I thank Thee for the food which I am about to receive."